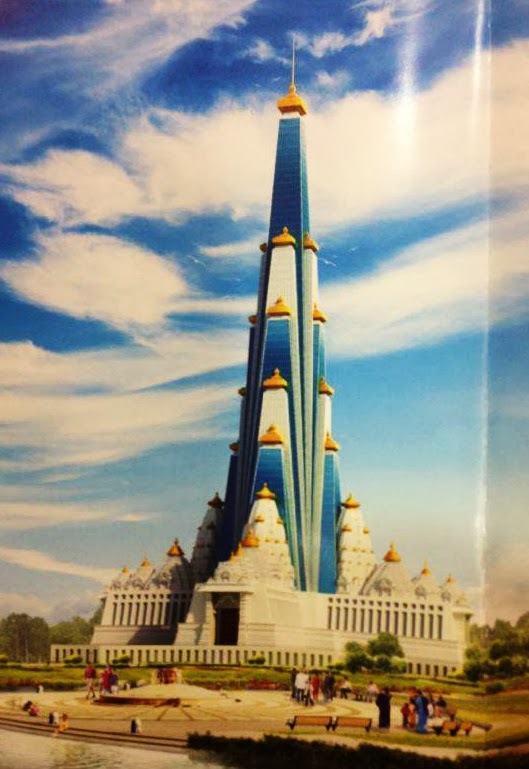 Times Of India: VRINDAVAN/MATHURA: A 210-metre-high temple is soon going to change the skyline of Vrindavan in Mathura district. The project, whose foundation stone will be laid on March 16, has been conceived by Madhu Pandit Dasa, president of ISKCON, Bangalore, and will consist of a grand temple of Sri Krishna at its centre and many other interesting elements around it. Poised to be the tallest and largest religious structure in India, the monumental temple, named the Vrindavan Chandrodaya Mandir, with a footprint of about four and a half acres and a built-up area of 540,000 square feet, will integrate elements of modern architecture with traditional Indian temple architecture. 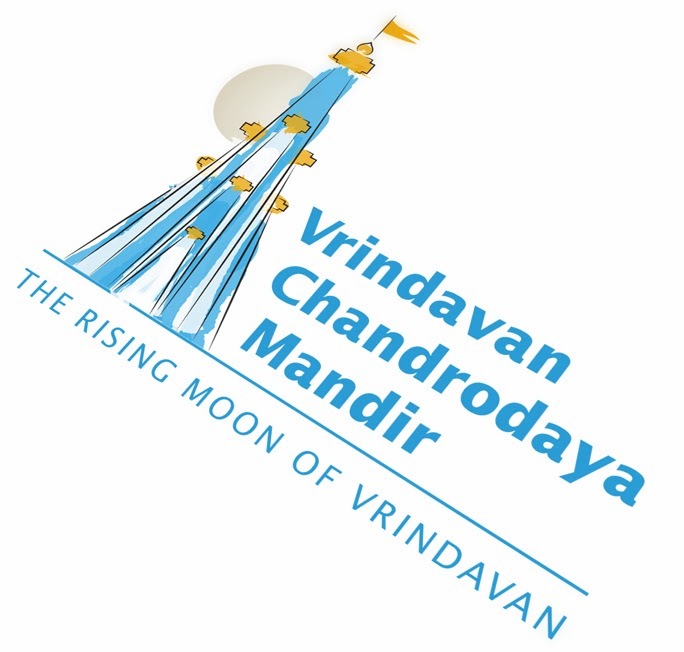 In an exclusive interview to TOI, senior vice-president of ISKCON, Bangalore, Chanchalapathi Dasa, said that the project was an attempt to put Vrindavan on the world map. So will it be like any other temple for Krishna devotees? No, says Dasa. "Everything begins in the human heart and that is where we want to make a difference by instilling Krishna consciousness (the term used by ISKCON to mean good thoughts, ideas and intentions) through this massive project," he said. Global landscape designers would recreate the 12 scared and verdant forests (dvadasha kanana) of Braj in an area of 26 acres around the temple, from descriptions provided in Srimad Bhagavatam. There would be boating facilities in the Yamuna creek and depictions of 'Krishna leela' in the forests. From the ground level, a capsule elevator will rise through the temple core, taking visitors through different planetary systems as described in the Vedic literature in a sound, light and dioramic show. The climax of the elevator ride will be the viewing gallery situated at a height of 700 feet. Dasa told TOI that tourism was not the sole purpose behind this project. "It is not just another sacred edifice of concrete, stone and glass. This project is dedicated to playing a larger role in shaping the future of this country. It will not only house a temple for the worship of Sri Krishna but will also become a centre for disseminating the profound message of the Bhagavad Gita and Srimad Bhagavatam, delivered in a modern context. We wish to inculcate the glorious Vedic values in today's youth."